Among the other countries in the world offering impressive vacation destinations, India stands tall as she is blessed with so many awe-inspiring places in her lap. Kuari Pass nestled in the high mountainous range and the scenic beauty of the Garhwal Himalayas is known to among the most intriguing holiday destination for those who love adventure. 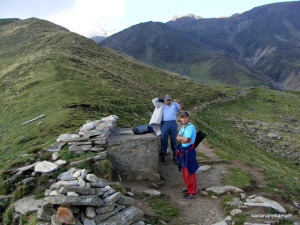 The history of Kuari Pass name as Lord Curzon Trail trek begins from the era when Lord Curzon, the viceroy of India undertook many adventurous trails in the Garhwal Himalayan ranges to reach Kuari Pass from the Ghat via Ramni. In those times, the viceroy discovered these mountains and made a pass to Joshimath because of which the trek is also named after him. Kuari Pass trek is not only relishing in the tranquil atmosphere of the Himalayan ranges but also offers its travellers fun and excitement in the easy trek. Along with this the trek also allows the travellers to experience and be captivated by the beautiful Himalayan peaks, the picturesque green meadows, the serene rivers and the dense forests. The travellers are supposed to walk though the Curzon’s trail between 3500 to 4265 meters thereby crossing three more passes and five major rivers namely Nandakini, Dhauli Ganga, Kaliganga, Pindar and Birehiganga. Apart from this the splendid view of the mountain ranges namely Trishul, Kamet, Kedarnath, Nilkanth, Hathi Parvat, Gori Parvat, Rishikot, Dronagiri, Changabang, Nanda Devi and Choukhambha fills you with excitement and take you to cloud nine. 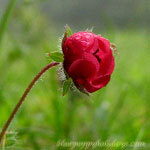 Any adventure loving person would never miss out an opportunity to go for a trek. Among the most popular trekking destinations, the adventure lovers would prefer experiencing the great Indian Himalayan ranges and its easy and tough trails. Trekking at the Kuari pass you will get an opportunity of appreciating the beauty of the serene and beautiful Gohna Lake. 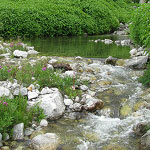 Anyone who has been to this trek relinquishes himself in the astounding beauty offered by the trail. Apart from this you can also be dazzled by glancing at the Nanda Devi mountain ranges. The main reason why travelers flood this area is because of the high-standing appeal of the snow covered peaks. 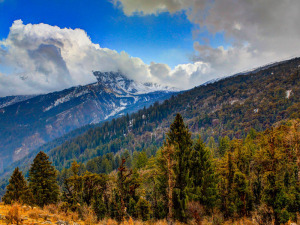 While spending their time in these mountain ranges, the travellers can also experience the biodiversity in the area by being to the Nanda Devi National Park. If you are lucky then you may get a chance to witness some of the rare animals like Himalayan bear or pugmark leopard along with some beautiful species of migratory birds. 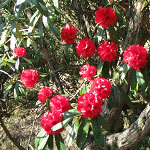 Apart from this, the place also leaves you awestruck by the snowy peaks of the Deodar, Rhododendron and the Oak forests. Besides exploring the mountain ranges, travelers can also go hiking in the Namik Glacier at nestled in the desert of Himalayas between the three peaks of Nanda Devi, Trishul and Nandakot. Traveling through this route you may get a glimpse of the nearby towns rich in Indo-Tibetan culture. The best time to visit the Kuari pass is during summers when the temperature is within range allowing the travellers to explore the ranges with fun and excitement. 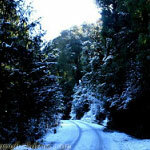 Some of the travelers also prefer exploring the Kuari Pass during winters when the ranges are totally immersed in snow. 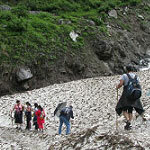 There are so many fun and adventurous activities to do at the Kuari Pass along with shopping for Kuari Pass photos, the cultural outfits of the regions and the famous caps of the North India. 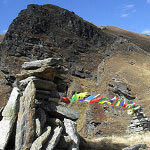 Kuari Pass is located in the Nanda Devi Biosphere Reserve, 4265 meters above sea level. 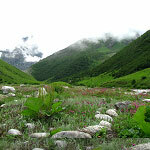 This is the major trekking destination in the great Himalayan ranges of the Chamoli district of Uttarakhand. The tourists plan their vacation to this particular destination for freshness in the air, the green valleys, Himalayan Ranges, captivating view of the rivers and the passes. For the first-timers, the Kuari Pass trek can be an enthralling experience with so much adventurous activities to do like rock climbing, walking through the dense forests, etc. 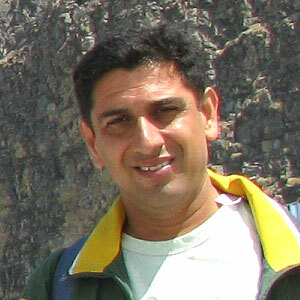 Kuari Pass has become very accessible by people around the world. With Jolly Grant Airport at Dehradun and the various trains running to and fro from the Rishikesh central railway station, people can now easily reach the Kuari pass. 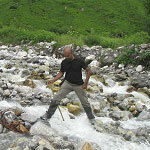 The trek to Kuari pass starts from Rishikesh, Haridwar and Dehradun. Here are some exclusive photos of Kuari Pass. 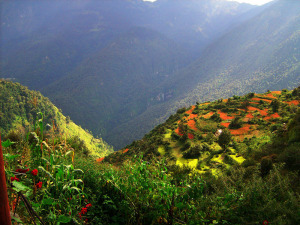 Many places on the way to Kuari Pass has been captured in these photos.